The State of Colorado is a wide-open, fun filled land with limitless opportunities to have a good time riding four wheelers. There are hundreds of state tracks, private and closed courses and forest runs to navigate and explore. There’s a lot to go over here, including the different types of trails, laws and restrictions and seasonal conditions. 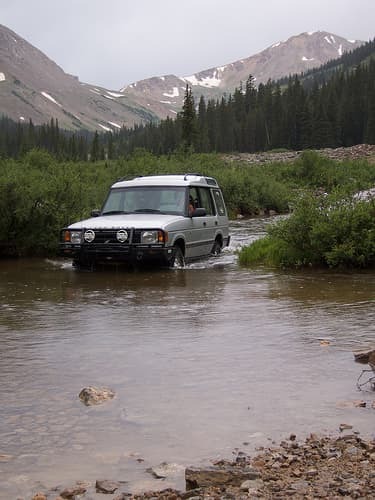 Here are the different types of trails you can use to go four wheeling in Colorado. These are the most commonly accessed off-road, seasonal, state “two-tracks.” These runs are nearly endless and comprise most of Colorado’s off road tracks. These tracks can take you through the mountains, over rivers and just about everywhere else! There’s no doubt that this is a great and fun place for both beginner and advanced four wheeling enthusiasts. Although the name may seem intimidating, private tracks can actually be a blast! In order to trail through these tracks, you’ll need to obtain permission from the landowner. These tracks can be a lot like state tracks or forest runs, depending on the location of the private property. Colorado has some pretty amazing closed courses, which are multipurpose. In order to access these well designed courses you will either need a course permit or you will need to schedule a course run. Closed courses are put together very well and can offer some pretty amazing adventures, but they are also limited to certain locations and have certain restrictions applicable. These are the trails for thrill seekers and adventurers. Although forest runs aren’t as well kept and “designed” as closed courses are, these tracks will push your four wheeler to the max and will take you right to the edge of what’s really out there. The State of Colorado requires all drivers to be licensed through The Department of Motor Vehicles. This is applicable to both on and off road expeditions. Speed restrictions are also in effect when traveling down trails, use caution as conditions can change in an instant. No special licensing is required to go off-road. As with many states, especially Colorado, be advised that many off road trails will not be available during off-season months. If you attempt to go down some trails during winter months, you could risk getting your vehicle stuck.